BHS Cricket Team 1970. Team coached by Mr. Jones, was undefeated in local play that year against all High Schools around New Amsterdam and surrounding areas. The team with a few player changes over the next 3 years under Coach/Manager Jai Naipaul was an unstoppable force in High School Cricket in Berbice. 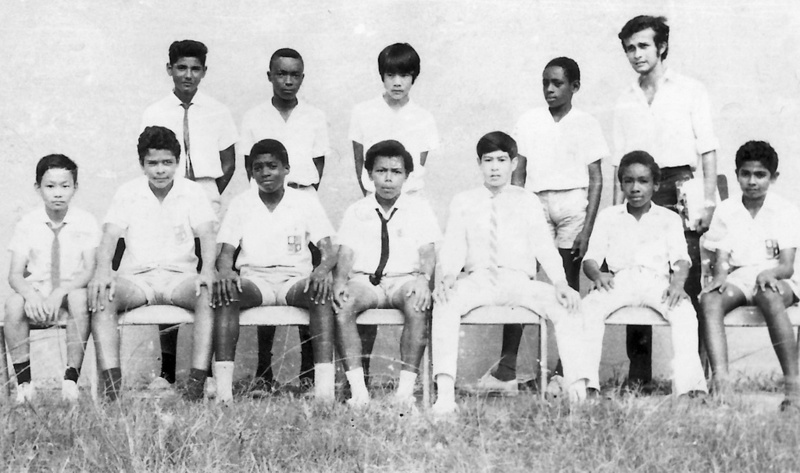 Back Row L-R: Brijmohan Bhoaj (All Rounder), Rodwell Waldron (Med. Pace), Evan Chee (Wicket Keeper), Renee Corlett (Batsman), Mr. Jones (Mgr/Coach).